You would never put your art on display somewhere and then never tell anyone it was there right? If you have a website with your art on it, you just might be doing that. Many artists are under the false assumption that simply by putting their art online that people will see it. Nothing could be further from the truth. You have to let people know about it. One of the easiest ways to help people find your images is to make sure the search engines pick them up. Google, Yahoo, Bing, and all the others don’t read images very well (though they are getting better). It’s pretty tough for a computer to look at an image and know what it’s about, what kind of emotion it evokes, or even what kind of canvas it’s on. You can make it easier for them, however. Here are three ways to help your images be found by the search engines, and by extension, the people who might buy your work. The images are all courtesy fans of TheAbundantArtist Facebook page, Facebook.com/TheAbundantArtist. 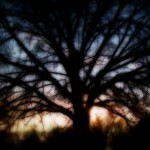 You may also want to check out How to Photograph and Edit Your Images for Your Website. When you take pictures or scan images, digital cameras and scanners default to numbers when saving the images with a title. Then you get file names like Picture 0778698u. When you upload an image to a website that image gets its own digital address (the URL). This one might be https://theabundantartist.com/Picture_0778698u if I left it as the default name. The problem with this is that search engines read image URLs to get a clue as to what the image is about. 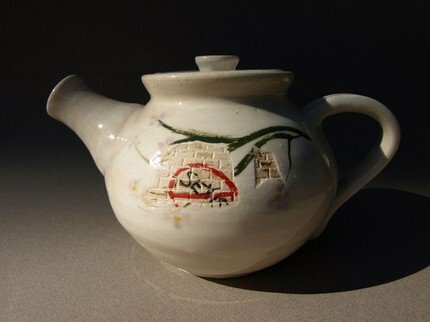 So what I did was change the image name to Hand Thrown Porcelain Teapot. 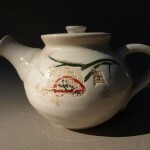 Now the Search Engine Sees https://theabundantartist.com/wp-content/uploads/2010/03/Hand-Thrown-Porcelain-Teapot.jpg. There is descriptive text in that URL that the search engine can now read. Thanks to Lori Buff for the teapot image. Alt attributes were developed as a way to help web browsers like Firefox or Internet Explorer display text substitutes for images when they couldn’t display the image. Search engines now use Alt Attributes as a another way to find out what the image is about and how relevant the image is to a search. Your Alt Attributes should be simple and descriptive. For the image to the left here, I labeled the Alt Attributes as “Grateful Oil Painting on Canvas.” You can view Alt Attributes by right clicking on an image and choosing Image Properties. 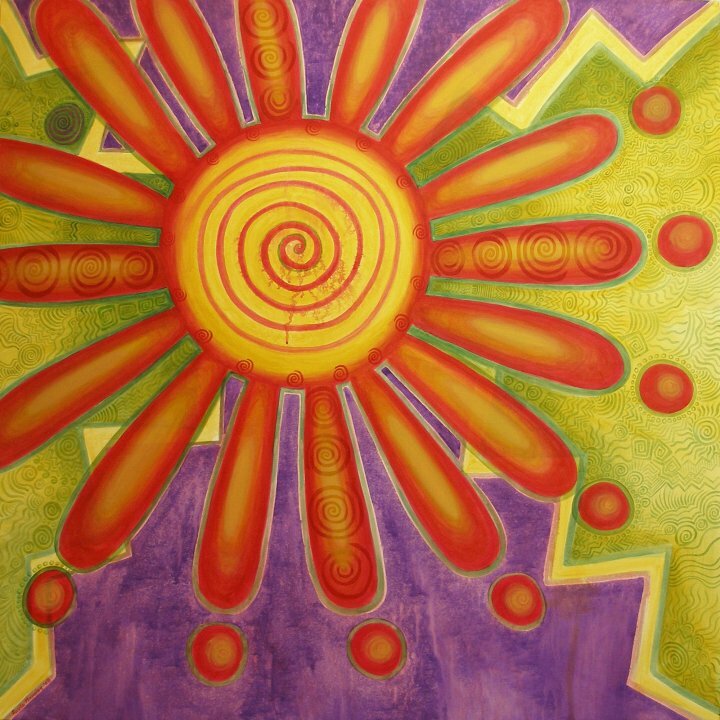 Thanks to Paula Manning Lewis for sharing her painting titled Grateful. Search Engines like Google have also indicated that they are using on-page elements to find out what an image is about. This is a bonus to you, because it means that telling the story of your painting, sculpture, or whatever actually helps you sell it. 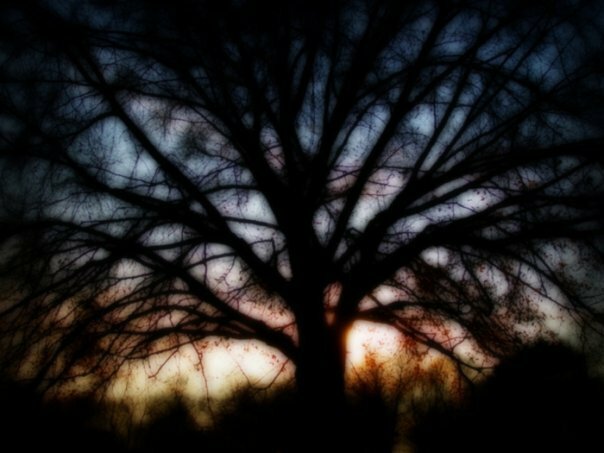 All of the bolded words are things that people might search when looking for a picture of a scary tree (don’t actually bold your paragraphs – it’ll look as dumb as it does here). That first sentence was taken directly from Cullen’s page, and then I expanded on it. You can’t just place your images on the web and hope that people will find your work. 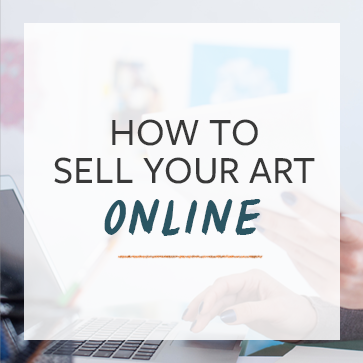 If you are serious about selling your work online then you have to put some more work into it. There are lots of things you can do in addition to what I’ve talked about here, but this is a good start. Thoughts, questions, and additional tips welcome in the comments. I’m in the process of setting up a website with Embarq. It’s free… since they are my internet provider. I appreciate all your information regarding websites. You’ve been a big help. Please check out my site. I would like to hear your feedback. Thanks again. I knew about these things, but this was a great reminder to review and clean things up. Thanks! I am so happy I found you site through a Facebook friend! There is so much information here and I cant wait to read all of it! I am learning so much here and love this particular blog about how to get your pictured noticed. Im hoping to work on my SEO for this. Just an FYI…I’m the photographer mentioned under “On Page Descriptions”. My new site is http://www.cullenpix.com. The story here links to my old URL that I abandoned a ways back. Thanks again for all you do, Cory! @simonbrushfield glad it was helpful Simon! Thank you for the suggestions. I like the descriptive paragraph. I need to work on that. thanks for the info. I always name my images, but maybe not as descriptively as shown here. I’ll work on all of the above. Thank you Cory for this information. All 148 images on my site are now labelled according to these guidelines. It used to be so very frustrating to me that when I submitted my site to any analysis, it would always make some comment about having too many images, and No content. I AM an artist after all, an so a good part of my site is dedicated to images. Hello Cory, thank you for all of the wonderful info you continue to provide us with!! I finally created a new website w/Wordpress following your instructions. I was wondering if you have to belong to all of the social sites to put up the sharing buttons, or can you put as many as you want without having to belong to all of them? Thanks again and keep up the awesome job! Hi Cory – I’m so thankful for your advice and the Abundant Artist site! It’s inspired me to start being more serious about my art and how I present it all around. I’m always conscious of the importance of naming conventions after working in the game industry for awhile – It’s so easy to let things get out of control when you feel rushed or you haven’t gotten your folders organized yet – I did go a step further and created an xml site map that also calls images – At first I spent about an hour looking for a free images sitemap generator with no luck! and then I just dug in and built it myself – not too hard if you have a little knowledge of html. There are plenty of places online that will generate a regular sitemap for you and then you add in the images part at each page – luckily I only have about 150 images on my site so it was a little time consuming but hey – I learned something new! this site does a pretty good example of what’s needed – http://support.google.com/webmasters/bin/answer.py?hl=en&answer=178636 (most of those 3rdparty tools mentioned cost money) oh and here’s a hot tip – you can check your site map for mistakes by just opening the file in firefox – it will tell you where the mistake is – watch out – it doesn’t like ampersands unless you use the code for them. If you are signed up on google webmaster follow through and submit your sitemap and make sure your robots.txt is in order so your site gets crawled – – – – wow – – -I just totally geeked out right in front of everybody!! – – -ok well thanks again!!!! @janeelliott27 Let the geek flag fly! If you’re using WordPress, there’s a plugin called Google Sitemap Generator that does it all for you. That’s what I use! Great tips, thanks a million Corey! Thank you for another great post. I’ve been doing some of these things for a long time, but not in a very consistent or effective way. Thanks for show us how to do it effectively! cory, Thanks for providing so much wonderful information. I always get so much out of your articles and videos and this article on how to handle images was another winner. THank you.Just first article about SEO and tags that make sense to me. Written in accessible terms:) I have my art on a few sites and never had even a coment,never mind sale, from internet. Someone found my work on line and then they contacted me. I thought it might be a scam because of the grammar used. The real indication was that he wanted to buy my painting but couldn’t use a credit card or Pay pal. I haven’t sold anything yet from my web site and have just used it as a rather expensive calling card but it has been educational. I just ignored this person after the request that I find someone who has a credit card access. Like a gallery. I just felt distrustful. I know I sound stupid but how do I actually go about selling my painting via Internet sales without getting ripped off? If paid by pay pal then I would see that the money was real then I could invest in the expense of mailing it properly. It’s like sending a five year old on a plane alone. Any thoughts? I wouldn’t ship anything without receiving any sort of payment up front. Paypal or credit card will work. If they want to pay by check, make sure the check goes through before you ship. Very helpful and it really doesn’t add a lot of work to what I’m already doing. Thank you very much. Thank you so much Cory for this post. Very informative, easy to understand and to the point. I am redesigning my website and this information is very timely. Now I finally understand how to title, add alt attributes and what kind of description I should have on my images! Would like to know if I can post this information on my Google+ page for other artist to see? Jorge, thanks and of course you can share this on your G+ page! Great post, Cory. I am so loving this course. I love your attitude about sharing your knowledge. It makes me believe in the idea that there is enough success in the world to cover us all. Keep it up! Regarding the structure of a portfolio website it’s important to be able to send a link to a collector that directs them to a specific webpage to view an image. (For example: http://bmc.me/art/portfolio/palmetto-sunrise/ ) Some (very nice looking) image galleries, that open a pop-up image viewer, don’t allow this, and should be avoided. Note: FYI my website is WordPress – WPShower Portfolium theme (customized). Cory — P.S. Thanks so much for sharing your insights on the Thriving Artist Summit! I appreciate that you have the heart of a teacher. Excellent reminder. I need to comb through the images on my site and fix some of this. Thank you! good. So far I have sold art by placing my wordpress post and image on facebook.